Tonight the Toronto alumni chapter of the university I went to, St. Francis Xavier University (St. F.X. 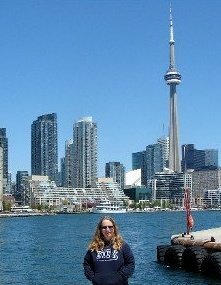 ), hosted an event and Gord and I went ... drinks and appies at the Brazen Head in Liberty Village followed by a Toronto Marlies game at the Ricoh Coliseum. 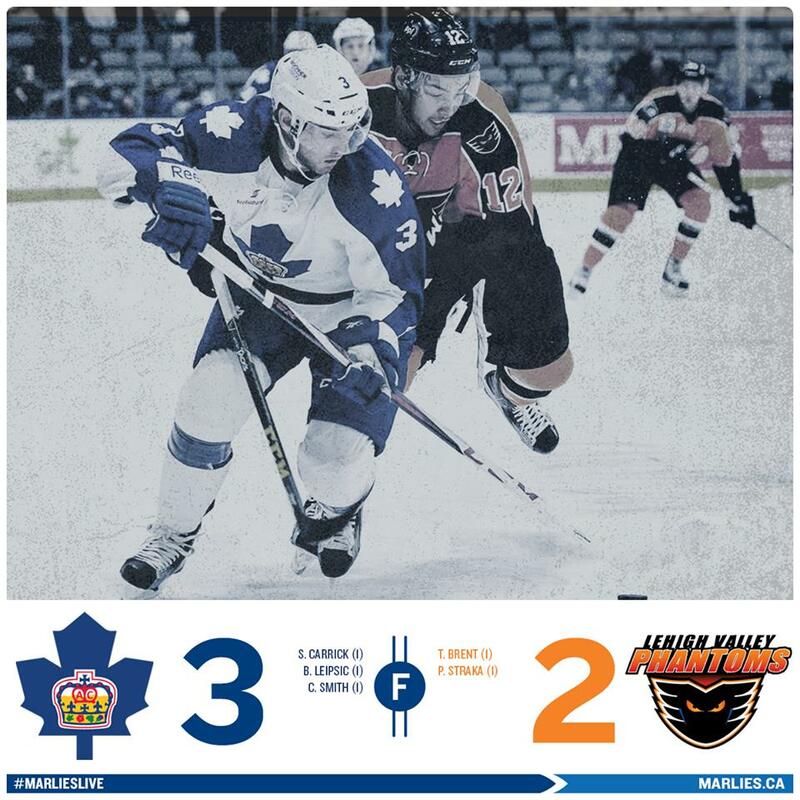 The Marlies were playing the Lehigh Valley Phantoms. The Marlies are the farm team for the Toronto Maple Leafs. There were 35 of us and most of us had our "X" rings ... here's mine. At the end of the first period, the score was 0 - 0. Gord met some of the Marlie cheerleaders on his way back from getting a beer. The Kiss Cam landed on Gord and I twice so, of course, we smooched ... and we won a $25 gift card from Williams Landing in Liberty Village. They flashed the groups up on the jumbotron and we were listed. During the second period, the camera flashed on our crowd. Duke, the Marlies' mascot, worked the crowd. At the end of the second period, the Marlies were losing 1 - 0. At the end of the third period, the score was tied 2 - 2 so we headed into overtime. The Marlies cheerleaders were throwing teeshirts out to the crowd and Gord caught one. The Marlies won in overtime ... whoohoo! The Marlies and Duke thanked their fans for coming out. The first and second stars of the game were Marlies players. It was a fun time and I look forward to going to more alumni events!